We landed in London in the usual fog that accompanies flying and immigration procedures. We quickly snapped out of it when we realized our British official wanted to deport us before even stepping into the country. This disgruntled immigration officer could not understand why we had never visited the UK before (uh, “first time” an answer she’d never heard before? ), why we weren’t carrying thousands of dollars on us (well, banks are all over the world so why carry my trip’s budget on me in cash?) or why we would want to travel around the world at all (kind of xenophobic, which is strange considering she’s an immigration officer, at least 30% of people travel for pleasure). Turns out, what she really couldn’t understand was why we would take a year off work. She pretty plainly accused us of lying our way in to live in her gray, rainy, over-priced country and sponge off the system. Even the tickets showing we had 7 more flights paid for over the following six months, complete with matching visas, would not convince her. 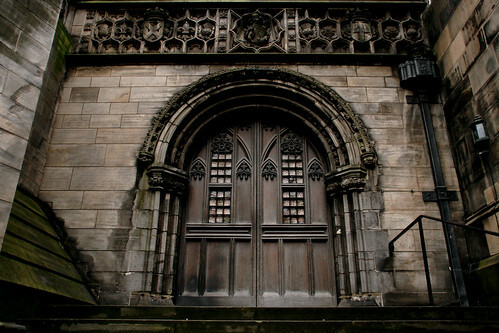 After the Spanish Inquisition was over, we entered. 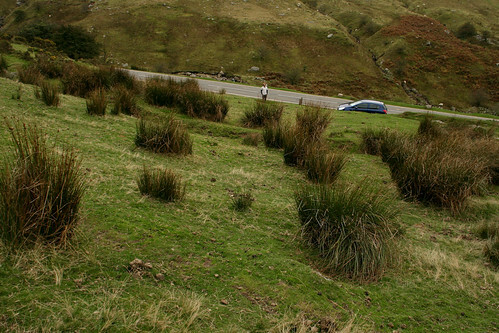 In an effort to explore and possibly escape the insane metropolitan prices, we rented a car and endangering every other driver on the road with our poor left-hand driving skills, drove North to Scotland. 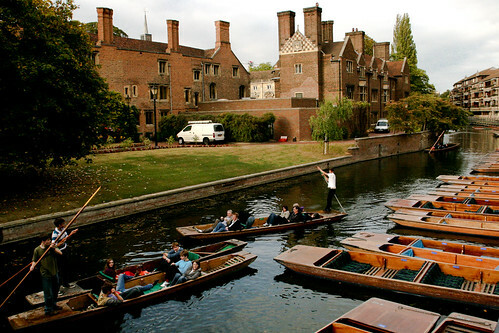 Our first stop was Cambridge, and at just over an hour outside London’s limits, it’s a good place to stretch your legs. 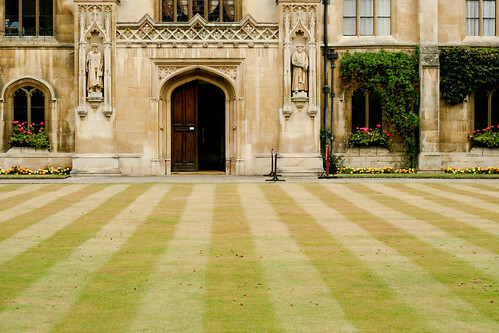 As one would expect of a world-renowned University town, Cambridge is beautiful. The fantastic King’s College Chapel (careful, some construction going on during our visit) sits just above the River Cam, where punters enjoy the views under tartan blankets, champagne glasses in hand. 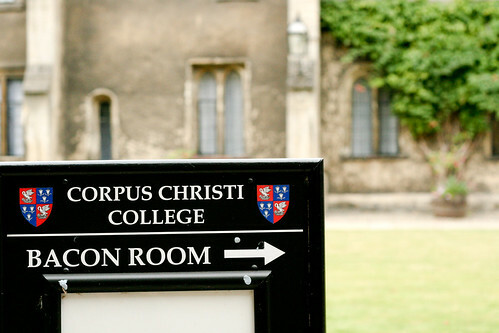 These college shots are taken on the Corpus Christi College grounds, we think, and you can come here for free. You don’t need to pay for the boat ride to enjoy it though, just find a way around to “The Backs” which are free gardens by the river behind various colleges, and see for yourself. 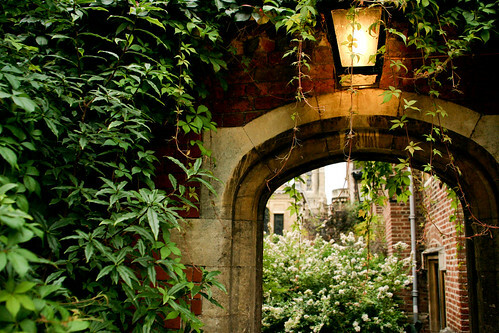 You’ll have to pay admission fees to get into many of the nicest areas in the University, but the places you can stroll unrestricted aren’t too shabby either. 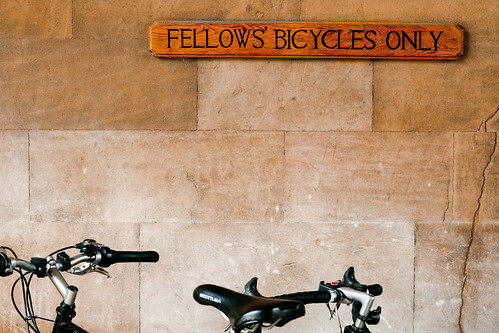 Had we the time, we would have hired a bicycle to tour the town. 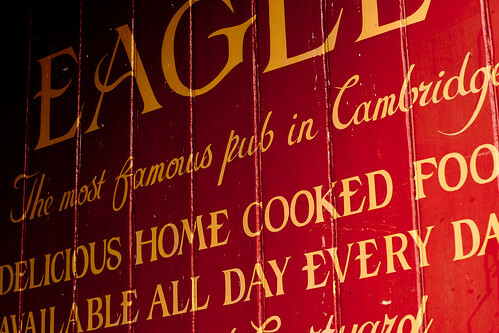 Cambridge’s pubs each boast their own famous learned patron and are all wonderfully atmospheric. The Blue has a great garden, The Eagle a stellar location and interior, The Regal is the biggest, and The Pickerel Inn the oldest. 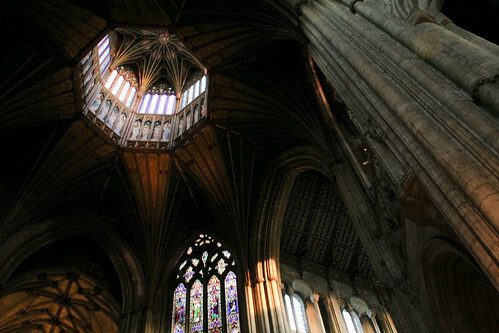 On the way out of Cambridge, stop by neighboring Ely to see the remarkable Ely Cathedral and it’s 170 foot high lantern. Established by a chieftan named Snot and renowned for it’s links to Robin Hood, we thought we ought not to miss Nottingham. 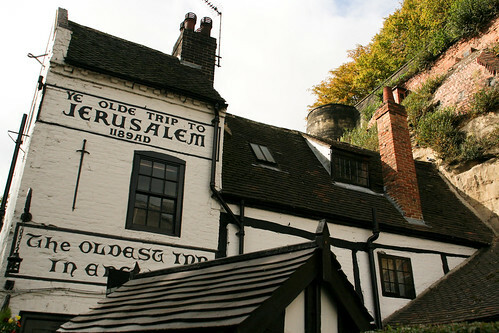 Besides, one of the oldest (if not THE oldest) public houses in England can be found here: Ye Olde Trip To Jerusalem. 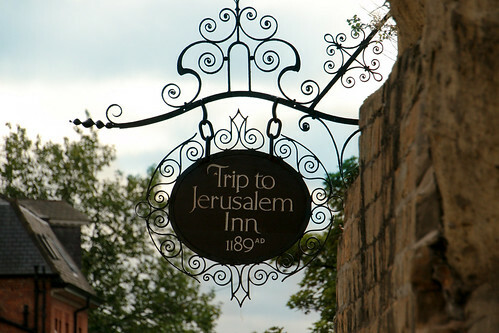 Strange name or not, the Trip is a fun place to stop for a beer or some traditional English food. The pub is built into a rock wall and features several caves. They even have a resident ghost which haunts one of their rooms. Robin Hood and Maid Eva. There wasn’t much else to do in Nottingham for us, but we did take our obligatory tourist photos. 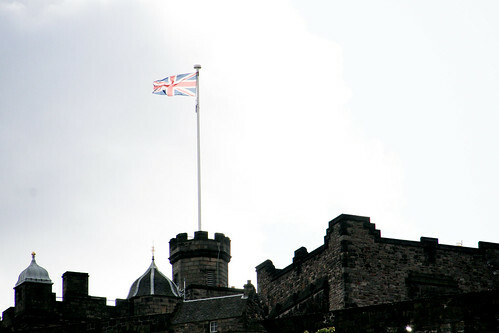 The main objective of our UK road trip was Edinburgh, Scotland’s Capitol. Since we only had a day or so to spend, we started the day early with New Europe’s Free Walking Tour. 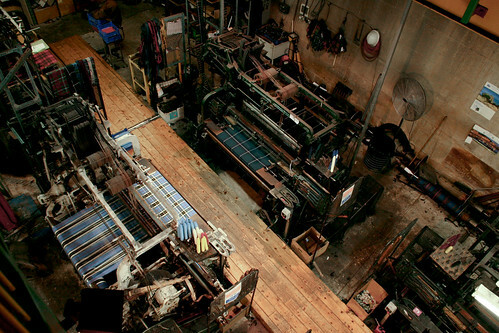 We would recommend the tour whether you have a week or a day in town. 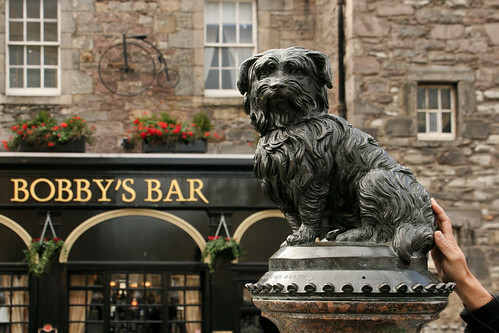 Our amiable guide gave us a interesting overview of Edinburgh’s history, well peppered with social scandals and and legends. Even Hogwarts was on the agenda. We culminated with the dramatic true history of the Stone of Destiny. 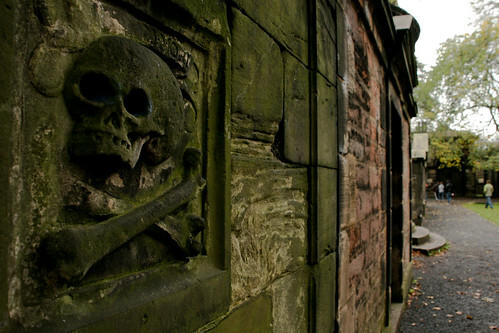 Greyfriars Kirkyard is a very old graveyard in Old Town off the Southwest corner of George IV Bridge, purportedly haunted and made famous by Disney as the home of Greyfriars Bobby. 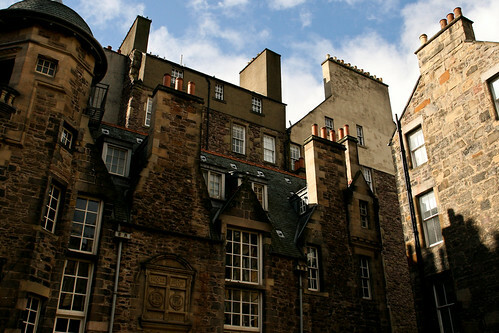 Edinburgh is easy on the eyes, and the weather was cooperating during our visit. 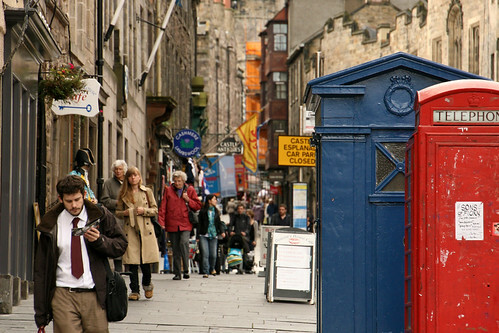 UNESCO liked Edinburgh so much it designated it’s New and Old Towns as heritage sites. 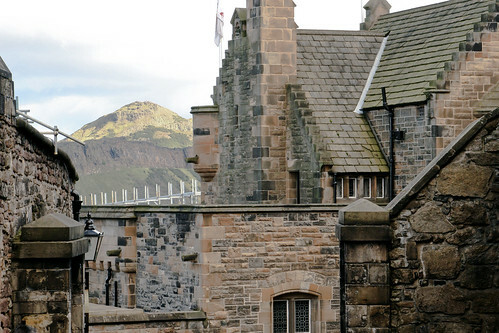 The town’s castle is more of a citadel, and you’ll enjoy it most from outside. Perched almost 400 ft above sea level on Castle Rock, the fortress stands on the plug of an ancient volcano. 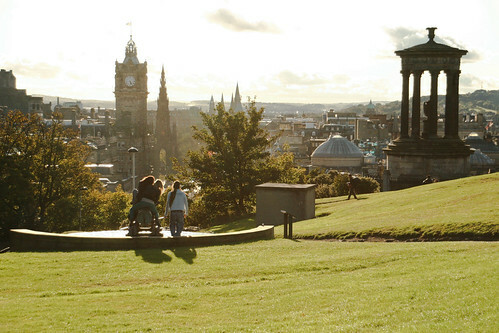 If you are lucky, enjoy a spectacular Scottish sunset like we did from Holyrood Park to the Southeast of the Old Town. 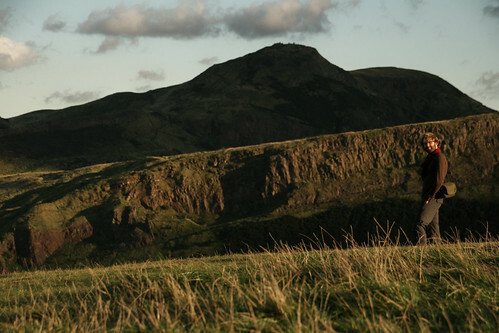 Rolling hills sway with grasses and trees, and the views of the Salisbury Crags is phenomenal. 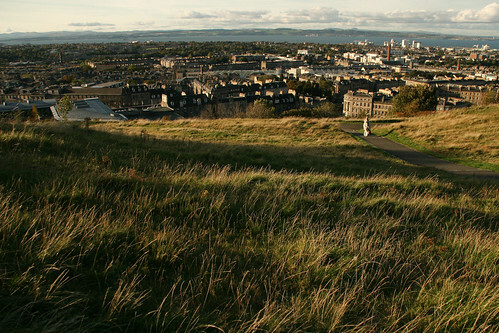 The walk to Arthur’s Seat is easy, and you’ll have vistas of the city, it’s port and the neighboring countryside. 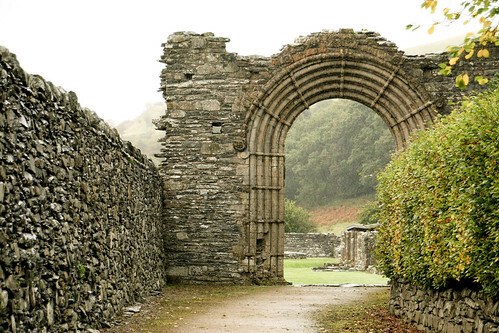 If you are staying in Scotland a little while, it might be worth getting a Historic Scotland Membership. 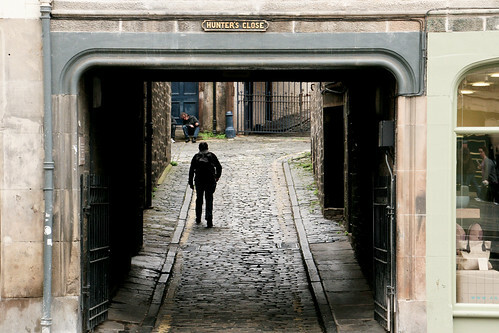 Passes last for a year, and cost about £40 for adults; they provide unlimited access to about 70 sites in Scotland (and discounts to many all over the UK). 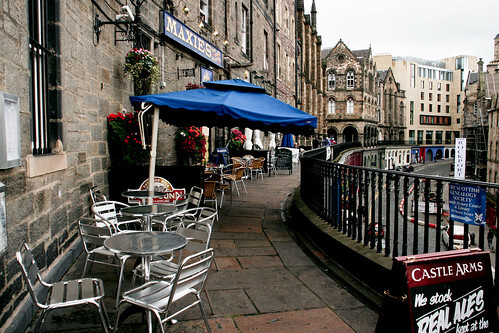 Edinburgh was pretty fantastic, and it was a complete shame we didn’t have time to see any more of Scotland. Suffice to say, we are very excited to put it on the itinerary for next time. We may have blown through Scotland fast, but we had to check off visiting a distillery from our to do list. 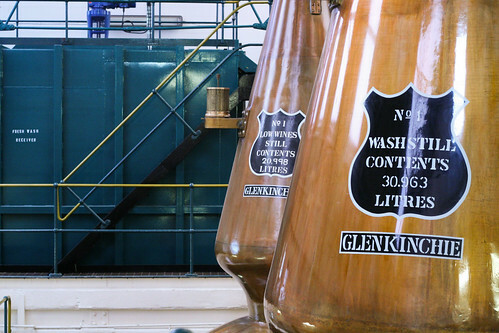 Glenkinchie is the closest distillery to Edinburgh, and offers tours daily. 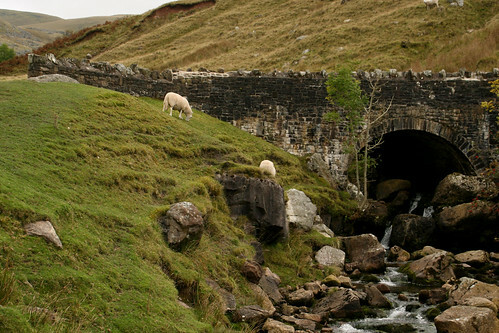 Lowlands varieties aren’t likely to be what you think of when you imagine whisky (note the Scottish spelling we learned), and only 3 distilleries currently operate in this area. Flavors in the lowlands are light and tight — they rarely present in single malts, rather appearing in blended whiskys to provide a broader contrast of character. 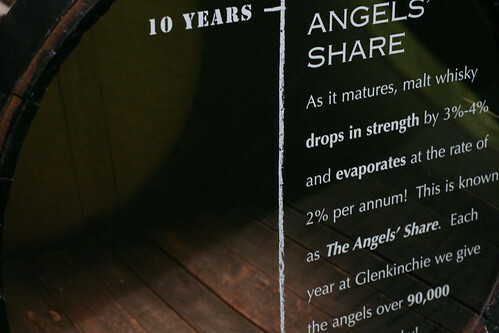 The tour at Glenkinchie was comprehensive for us whisky noobs. After wandering their self-guided area which discusses the process and history, a tour guide led us through their facility, which is highlighted by unique copper stills and a formidable spirit safe. The best part of a distillery tour, of course, is the tasting room. 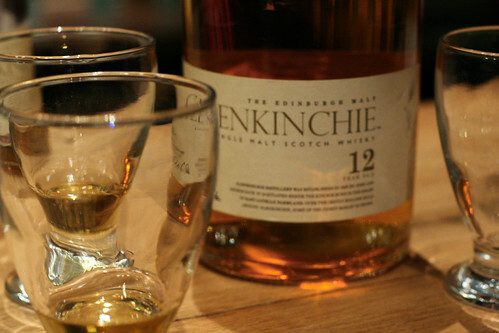 Glenkinchie contributes its single malt to many blends, and all were available for sampling. In addition, the distillery must realize how many visitors are just learning about their spirit and makes nice efforts to educate. 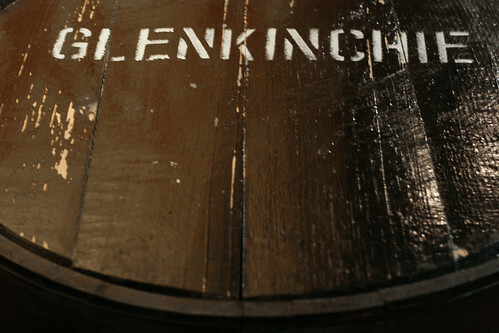 Aside from house whiskys, Glenkinchie also stocks a full tasting room of whisky from other Scottish areas, which allowed us to distinguish the influence of soils and waters on the spirit. Overall, very recommended. So at this point on our travels, we think we need to out Eva on one or two little facts she somehow missed. 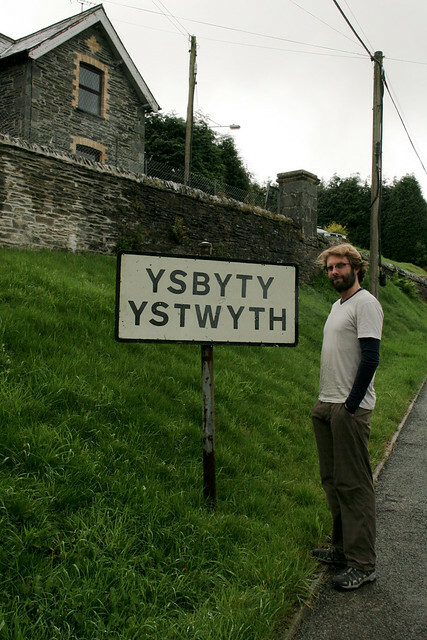 Wales is, in fact, a country. Somehow, this never registered. Sure, she knew where it was and that the area has it’s own language, but that was about it. 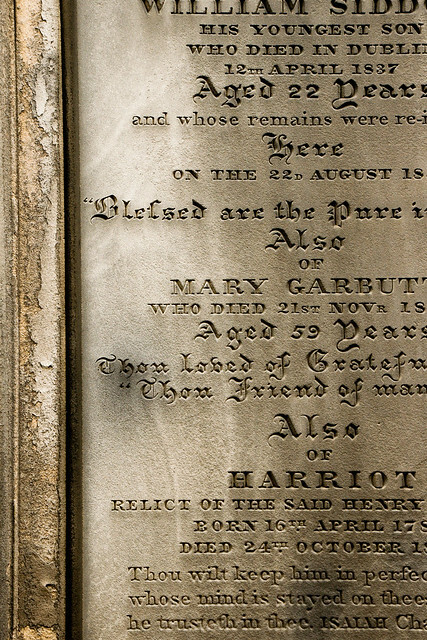 And, despite taking Rees as her wedded last name, she didn’t register its origins. So here we are driving past Rees Brothers Auto Shop when the realization hits. 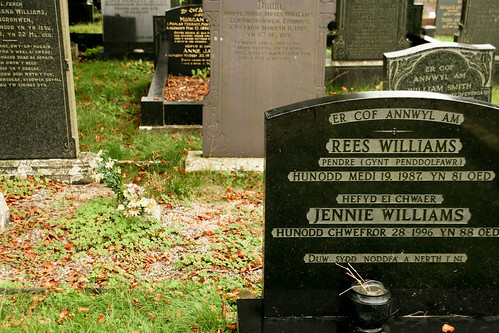 Thank god our last name isn’t quite as tongue-tangling as some other Welsh names. 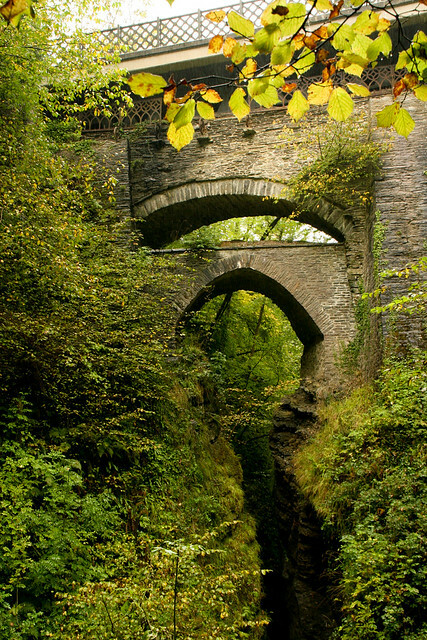 Confounding language aside, Wales is breathtaking! Mostly we just meandered country roads, counted sheep and stopped to admire some cemeteries, crumbling abbeys and natural splendors. It would have been quite easy for us to spend an extra day or two here to see more. 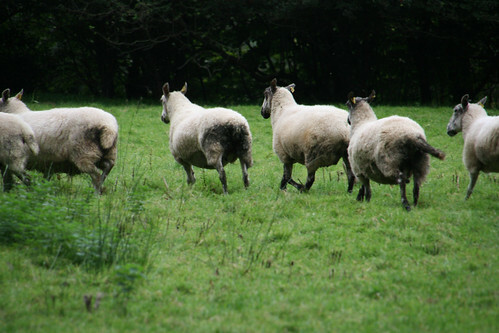 The weather in Wales is a bit reminiscent of the Pacific Northwest, and you’ll be wise to bring some galoshes if you want to run across any fields of peat. 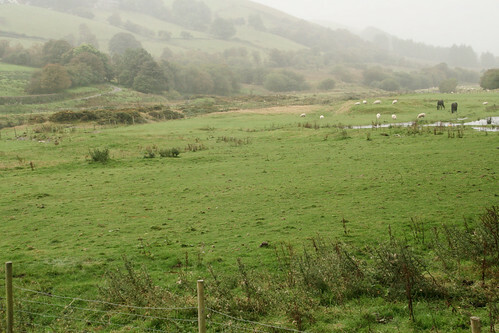 If you happen to be in Wales and are interested in whisky, Penderyn Distillery is located in the Southeast. We missed their visitor hours by 20 minutes, but their facility is new and beautiful. 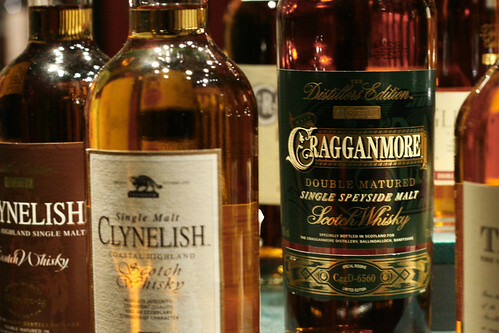 They are the last remaining distillery in Wales and their single malt reviews quite well. 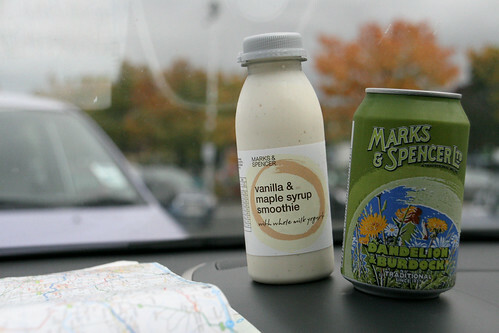 Before making it back to London, we swung through Manchester for a night and then through Bristol. 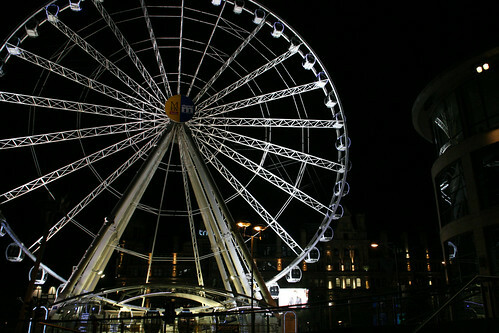 Manchester was fun — great nightlife, great people. Again, since we only had a week for this tour, we missed out. Would have been great to stay at least another full day and enjoy some of the great suggestions Heather on her Travels had for the city. 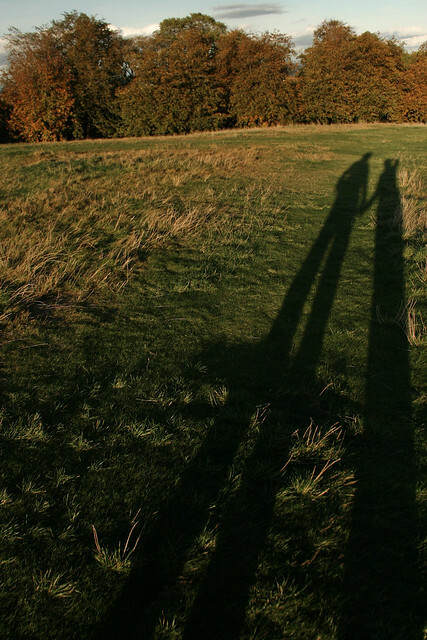 We already knew our slated two weeks in the UK wasn’t going to expose us to much, but we figured it was worth a try to get out of town for some of our time. We were also hoping our costs weren’t quite as high outside of London. 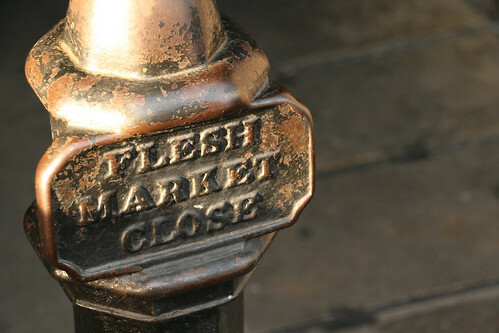 While prices plagued us just about everywhere, we’d have done it again without a doubt. 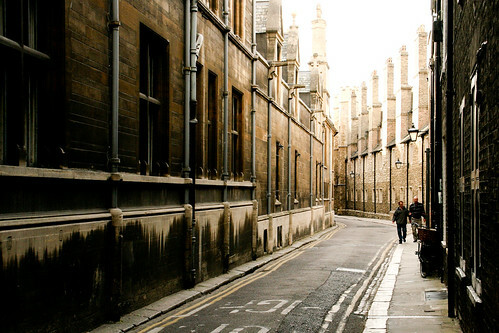 In reality, the UK is probably best enjoyed on a leisure vacation (as opposed to long term backpacking) — we would have fussed less with hostels and overlooked some admission charges more readily. The UK is a beautifully green island. The rolling fields wind on forever and ancient towns are hidden away in the countryside, often identified in the distance by dark stone steeples from the town’s time worn church. Don’t drive a rental car in London. Whether or not you are familiar with driving on the “wrong side” of the road, the city itself is a proper madhouse. Even locals are loathe to drive within city limits. 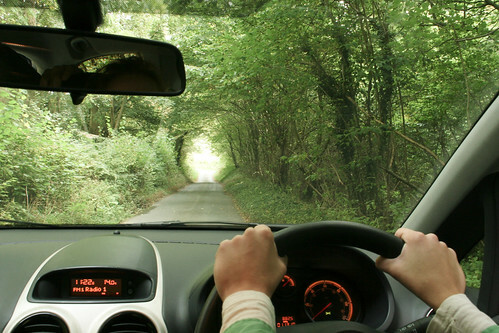 Roads are usually unmarked, and if they are, you’re unlikely to spot the sign you need in time. Traffic laws are truly convoluted, and the streets are just plain narrow. 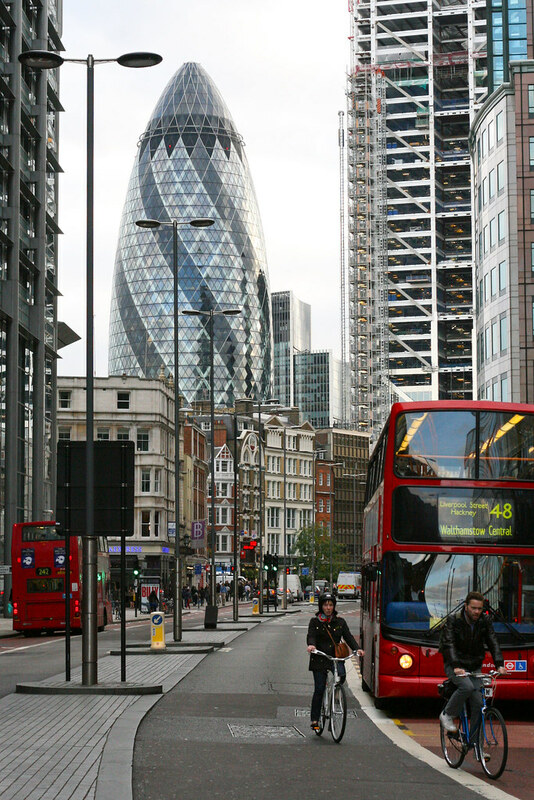 We avoided the chaos by taking a train to a Europcar pickup outside of central London, which was easily accessible by public transport. We even saved some on our day rate by doing so. 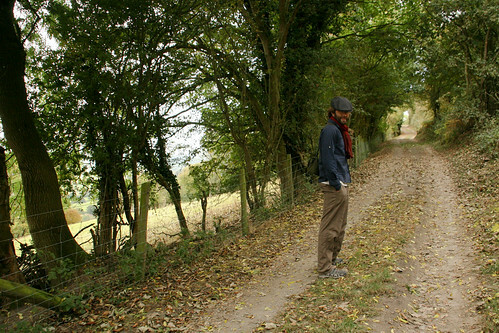 English roads are excellent. Whatever the situation in London might be, outside of town it’s a different world. Express highways are toll free and very nicely marked. 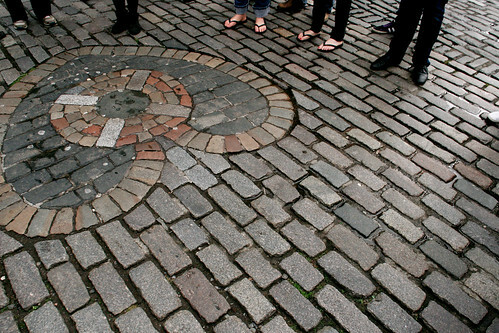 In fact, UK’s roadway system most reminded us of our own during our travels. We often favored small country roads over the M1 and found the same well-thought out signage system. We did have thorough Thomas Guide-style map which we borrowed from Europcar to help us plan, but we were able to mostly avoid getting lost. BBC Radio is scary. And we thought radio in the States sucked!? The BBC controls virtually every radio station, but the choices are few regardless. The news center provides headlines and related dialog to the stations, and they just replay it over and over. There is not editorializing — they just deliver the same exact dialog on every station. The pieces are often social scandals of the lowest shock-value variety. Music is rare and has little range beyond the Top 40. Our little rental didn’t have an AUX jack for the iPod and we suffered. Try to avoid our mistake. Plan mealtimes carefully. Outside of major cities we found out most places have a lunch hour and a dinner hour. Between the two they are closed. This included pubs. You can easily throw supermarkets into the meal mix, since they come stocked with so many ready-to-eat choices, but take the time to verify hours if there is a specific place you’d like to eat. Don’t arrive at hostels too late. In general, UK hostels are the worst we saw in the world — yes, this includes India and Southeast Asia. High housing costs make providing low-cost choices difficult and standards really suffer. Most places are just plain filthy, and filled with a high percentage of gross housemates. You’ll only find hostels in major cities, but with the prices of hotels, you’ll often make reservation out of necessity. We thought we could minimize our exposure to icky hostels by arriving late, but this is a bad plan. Most hostel only accept check-ins before 10pm, sometimes much earlier. If you think hotels are pricey, you’ll really be screwed if you miss your hostel check in. Devote a day to Sandeman’s New Europe. 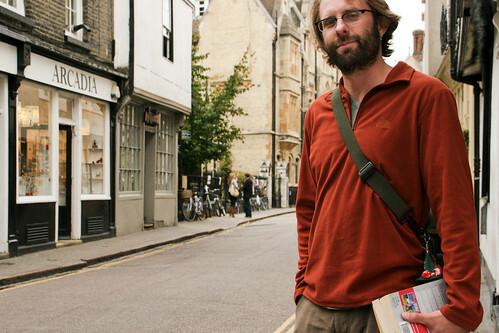 Free walking tours in the UK are offered in London, Edinburgh and Dublin. You’ll get a lot out of these 3.5 hour walks, and finish well oriented for the rest of your stay in town. 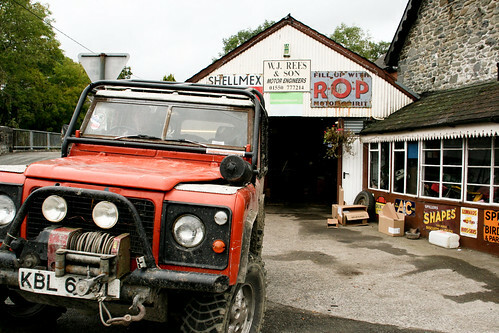 Tours are informal, fun and busy. Love this post a lot! Brilliant pics and witty writing. You made me want to go to the UK! Except I don’t ever want to meet Officer Cruella deVille! Immigration inquisition terrifies me. Thanks for the mention of my Manchester tips but I can’t believe you came through Bristol and didn’t come and see me! My door’s always open for blogging friends. totally agree with you about the UK weather.